I like Big Macs and recently noticed a difference. The meat patties here in Pensacola are ridiculously small and thin. So thin that they can't help but cook super well done and crumbly. Last night I ordered one without the bun to examine it. It wasn't palpable. For a comparison I ordered a kids happy meal cheeseburger. The single patty on the happy meal was more appetizing and palpable than booth the big Mac patties put together. Couple this with the kiosk type screen for placing an order and I see big trouble for MacDonalds. It's not your imagination. The Big Mac HAS changed, but not in ways that you should notice. I suspect that your poor experience may be a local issue. Talking with your local McDonald's manager may clear things up - and it may even get you a fee meal. In the U.K., the Big Mac will come with the addition of two slices of bacon for a brief trial period. I was initially skeptical of the kiosks, but have decided it was a smart move since it can speed up ordering time by reducing the length of time people stand in line. I worked at that fine food establishment 100 years ago. Same case of frozen meat discs for the sandwiches. 1 for a cheeseburger and 2 for a Big Mac. Now things may have changed but you don't order that crap expecting quality. MacDonalds redemption. The Big Mac was introduced in my neighborhood in the mid 60s so can't give up on 50 years of heritage. I got a double Swiss mushroom burger last night and it was almost 3 sandwiches in one with huge meat patties. Good job MacDonalds. I'm a firm believer in eating a wide variety of food in my daily diet, so never eat the same item for lunch of dinner two days in a row. As a result, I will never understand Don Gorske. In May of 2018, the 64 year old Wisconsin resident consumed his 30,000th Big Mac in the same location that he had his first Big Mac when he was 18 years old. If Gorske looks familiar, it’s probably from his appearance in Morgan Spurlock’s 2004 documentary Supersize Me, where he was dubbed a “Big Mac expert” and explained the extent of his obsession with the McDonald’s burger. 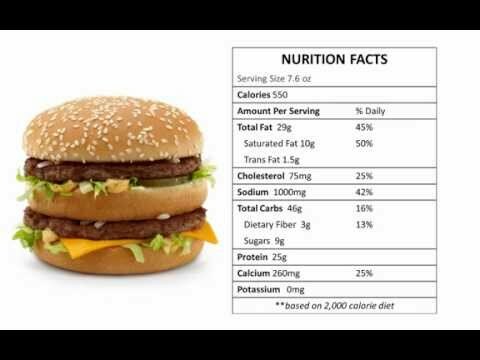 9 Big Macs is equivalent to 4950 calories. When Spurlock was conducting his research for the movie, he consumed 5000 calories a day, but had to quit early on because the diet was becoming dangerous to his health. I consumed my first Mc D's burger in high school. It was located about 1 1/2 blocks from where I attended classes. It was a real treat at lunch break. I've been a regular customer of theirs ever since until recently. My A1C in recent lab tests was 10.2, my blood sugar was 220, so now, I'm on a fake diet, no more Mc D's, no more 16.4 mg's of sugar in my coffees daily, no more 7up, now watching sodium intake, (everything has sodium in it) watching carbohydrates, and now eating more bland chicken, and veggies. My wife, used to have high blood tests too, sometimes 220 a day with Januvia, now she's cut back on everything, and her readings are around the 110 to 130 range without Januvia. Let's face it, fast food is bad for you, especially the stuff we all like, burgers and fries. I consumed my first Mc D's burger in high school. It was located about 1 1/2 blocks from where I attended classes. It was a real treat at lunch break. I've been a regular customer of theirs ever since until recently. My A1C in recent lab tests was 10.2, my blood sugar was 220, so now, I'm on a fake diet, no more Mc D's, no more 16.4 mg's of sugar in my coffees daily, no more 7up, now watching sodium intake, (everything has sodium in it) watching carbohydrates, and now eating more bland chicken, and veggies. My wife, used to have high blood tests too, sometimes 220 a day with Januvia, now she's cut back on everything, and he readings are around the 110 to 130 range without Januvia. I had an heart attack about 5 years ago; it was the cholesterol in my blood; since that time I stayed away from "fast food"
Yes it is dangerous for your health; also due to the fact lots of foods in this country are "modified" and "preservatives" are used make it unhealthy. Way too much "sugars" and "fast fed poultry" and force fed "animals" by feeding them non natural feed. Furthermore all the pesticides used in agriculture makes this the most unhealthy country in the world. If I look at the poor cows here in FL they eat more "weeds" than grass, so what do you expect. My A1C used to be very high too. I am a type 1 Diabetic though. I used to eat fast food constantly. Now 3 or 4 times a year. 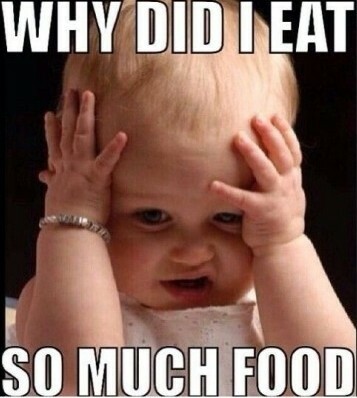 Reducing carbohydrate intake helps a lot (best tasting food on the planet). I went from 204 lbs to 144 (was 135 in highschool) w/o trying to lose weight. I reduced for better blood sugar results. It helped a lot. Best of luck. "I'm a firm believer in eating a wide variety of food in my daily diet, so never eat the same item for lunch of dinner two days in a row. As a result, I will never understand Don Gorske." I apply that concept to every part of my life. Always rotate food, cycle supplements every three months, always true to duplicate activities to exercise corresponding body parts, have always parked at outskirts of parking lots, cycle through every food that has registered healthy for nutrition and on and on. One significant comment from my doctor is my heart is good for another 50 years. That gives me to 124 years old. I've always been a meat and potatoes person, but these recent lab test results were like a lightening strike to my thoughts about what to eat. Almost every label I read, everything has sodium and sugar in it, and carbs are high too. It's not that difficult to find stuff to consume that isn't bad for us, we just need to reeducate ourselves on what is good for us. And what is not. Portions play a big role too. Whenever I get my burger "itch" (which is rare) I'll get a basic cheeseburger at McDonalds. It's about 300 calories, which is not likely to hurt me too much. It's not hard to find a burger that has 100o calories. From what I can tell, the winner of the "heart attack in a bun" is Hardee's 2/3 pound Monster Thickburger, which weighs in at 1300 calories, 90g of fat, and 2480 mg. of sodium. The dish that will cause you to fall face first into your last meal on Earth is the fettuccini alfredo with chicken at the Cheesecake Factory. 2590 calories, 104 grams of fat, and 1604 mg. of sodium. Check this guy out. I attended his lecture last year and it makes a lot of sense. He says a lot of our health information is created by producers of Statins. "Statins, also known as HMG-CoA reductase inhibitors, are a class of lipid-lowering medications. Statins have been found to reduce cardiovascular disease and mortality in those who are at high risk of cardiovascular disease." Happy and active are the most important things.